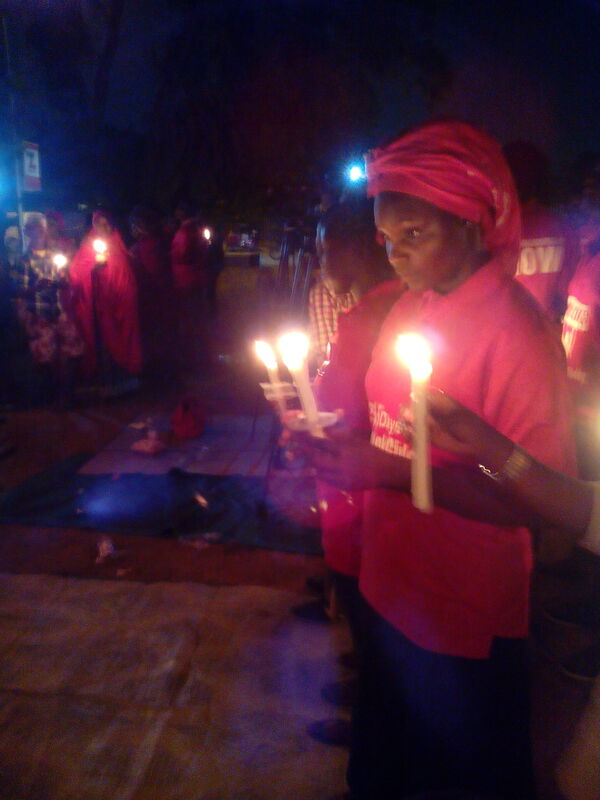 Today, groups of Nigerian women and men gathered together at the Unity Fountain in Abuja clad in red T-Shirt with the inscription #Bringbackourgirls. 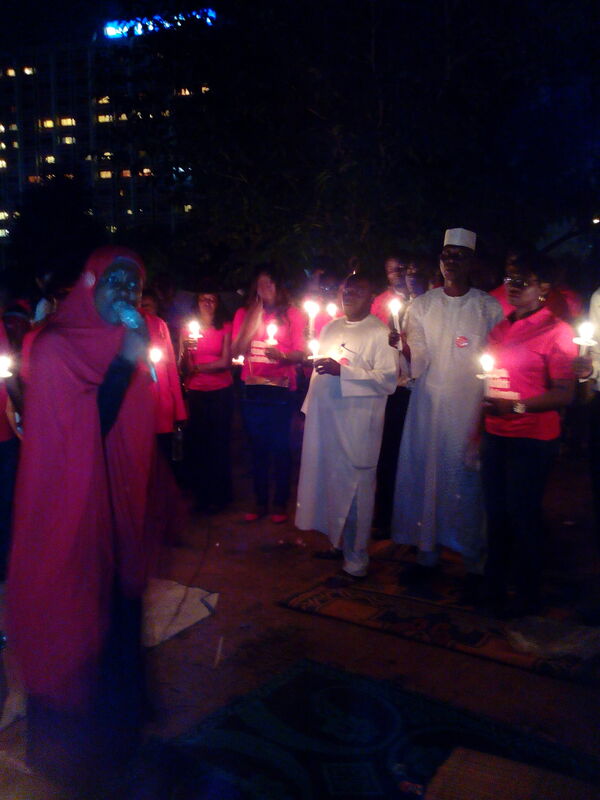 They were chanting solidarity songs such as “solidarity forever, solidarity forever, we shall always fight for our girls. 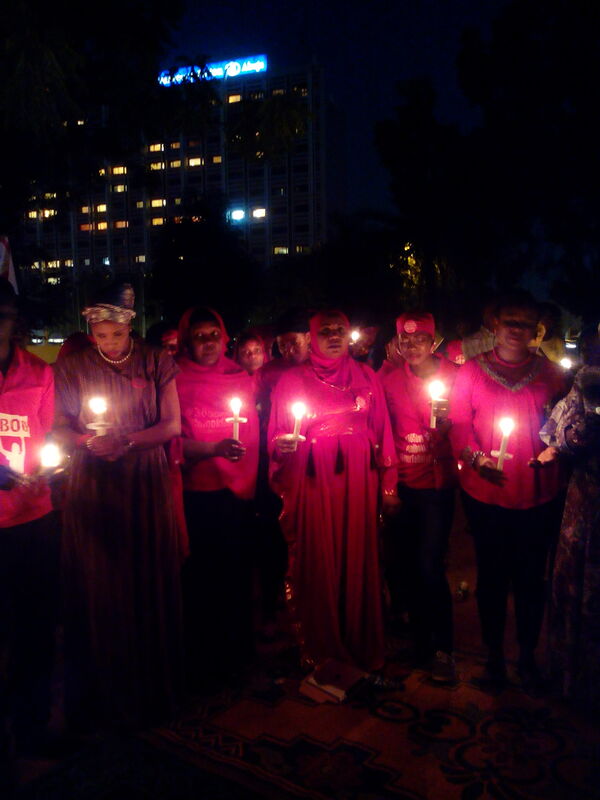 Intermittently, the lead would scream in a loud voice “What we asking for?” the rest of the women would in turn response with “Bring back our girls”. 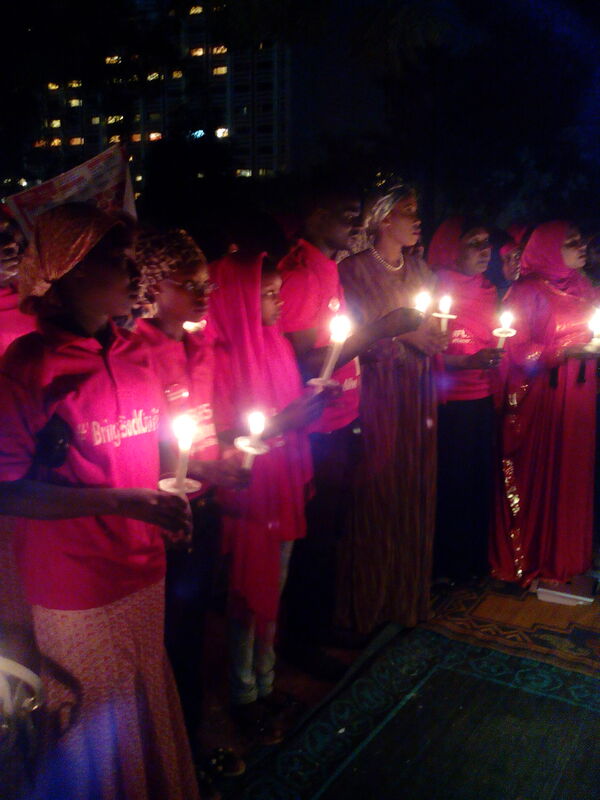 It was indeed a thought provoking sight with every one present, in a sober mood with candle lit procession, commemorating 365 days of missing Chibok schoolgirls in Borno State, North-East Nigeria. 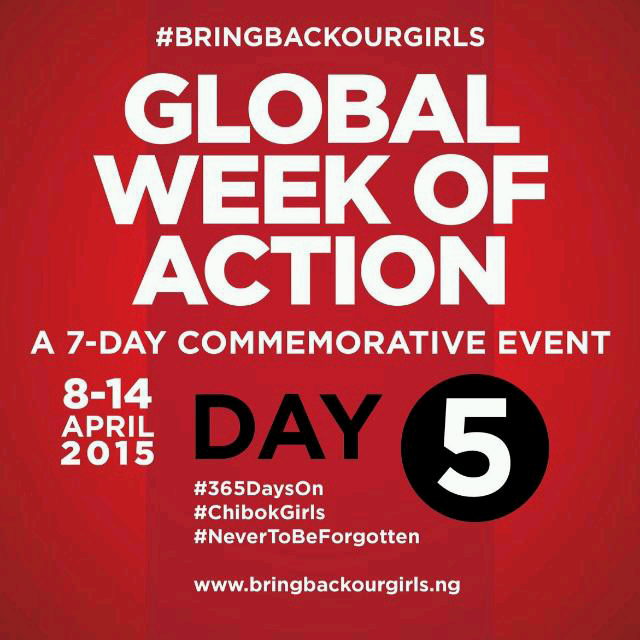 Throughout last year, #Bringbackourgirls became powerful trademark on social media, adopted all over the world in fighting for the return of these missing young girls. Many thanks to Mrs Obi Ezekwesili, former Minister of Education who was the first Nigerian to push #Bringbackourgirls on twitter, followed by other activists particularly the gender activists across the world, who strongly believe that young girls and women deserve to be protected. Previous: [Video] Electoral Malpratices: INEC Adhoc Staff Caught on Camera!